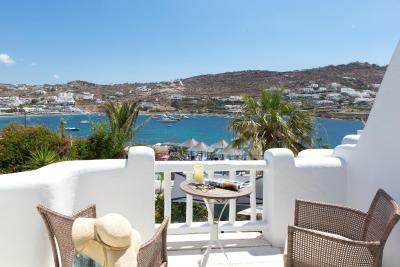 Lock in a great price for Kivotos Mykonos – rated 8.3 by recent guests! Design of the hotel, unique, peaceful, far away from party hotels..
lovely place, very helpful staff, room gets cleaned 2 times. 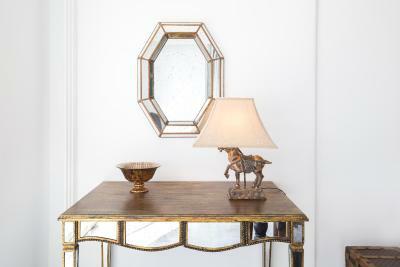 Superb location, Excellent service, Awesome design, Friendly and Professional hospitality. effeminately I will come back and stay at the same hotel for more days. 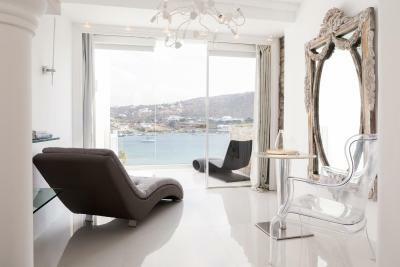 Amazing location right on the water with a private beach just for us!! 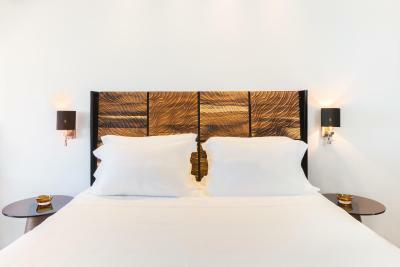 The staff was very welcoming and pleasant; the rooms were spotless and the quality was top of the line! Room was spacious and with all comforts! It had little blue lights in the floor that they turn on during the night that were just amazing. Cleaners and serving personnel was friendly, specially the guy that is during breakfast time and the guys of the transfers. But, there was something that make one of the girls at the front desk very unhappy. Its not to far for Mykonos Town, just 10 euros taxi and 15 if you go back during the night. Eat outside!!! City has amazing restaurant and life during the night! The private beach and the pool are just amazing. Wszystko było wspaniałe. Powitanie przez Panią Manager, wspaniały widok z pokoju, otoczenie. 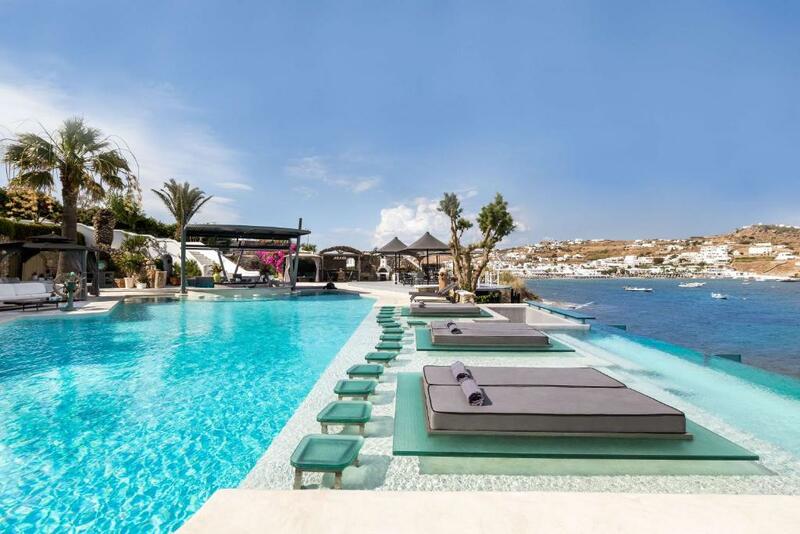 Kivotos Mykonos This rating is a reflection of how the property compares to the industry standard when it comes to price, facilities and services available. It's based on a self-evaluation by the property. Use this rating to help choose your stay! 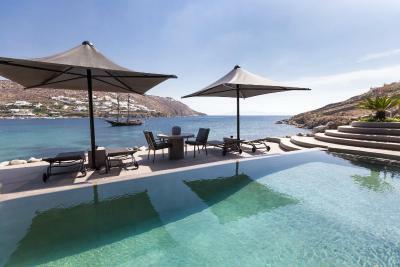 Kivotos is on a private beach on the magnificent bay of Ornos, just a 5 minute drive from Mykonos town, port and airport. 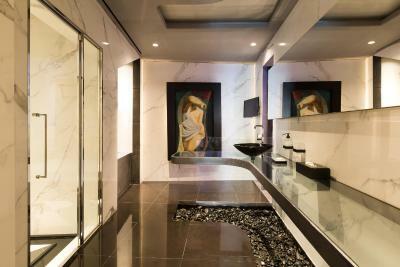 It features 2 swimming pools, extensive spa facilities, racquetball court and fitness center. 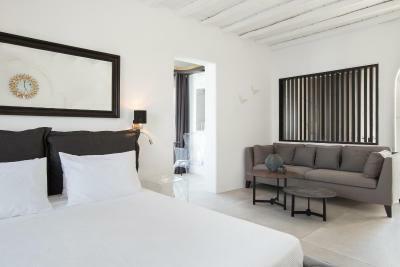 Each of its rooms and suites has been individually decorated by famous artists and local craftsmen. Welcome champagne is provided upon arrival, while fresh fruits and flowers are delivered every day. 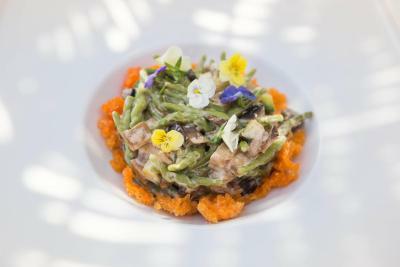 The Le Pirate serves Mediterranean cuisine and local specialties overlooking the bay. 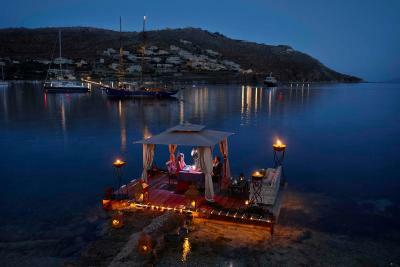 La Meduse gourmet restaurant serves Greek fusion cuisine and fresh seafood with views of the moonlit Ornos Bay. 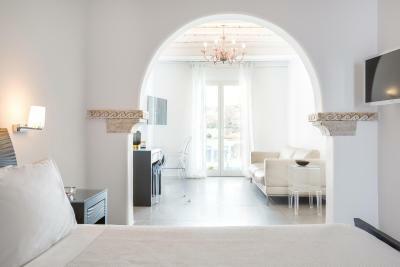 When would you like to stay at Kivotos Mykonos? 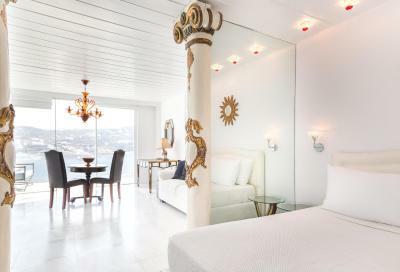 With a terrace or balcony overlooking the Aegean Sea, this spacious suite includes a spa tub, living room and queen size bed. It also offers an iPod Docking station. 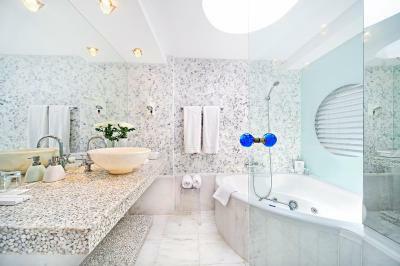 Featuring a furnished terrace or balcony with unlimited sea views, this suite offers a stylish and very spacious living area and 2 bathrooms, including one with a spa tub. It is fitted with a king size bed. 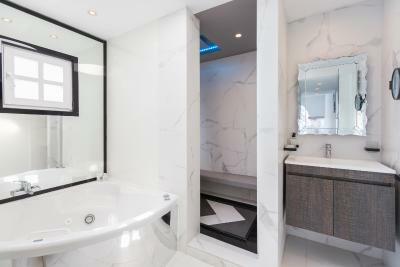 Featuring a private pool with furnished terrace and a spa tub, this suite has either 2 interconnecting bedrooms with a private bathroom with a spa tub, or a bedroom with a private bathroom and large living room. 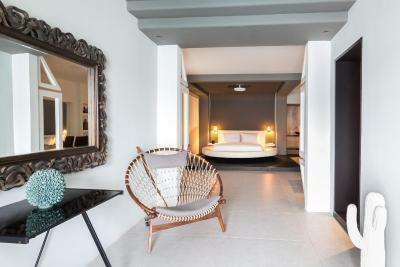 A flat-screen, satellite TV and minibar are also provided. Fresh fruit and flowers and newspapers are daily available. This type of accommodations is not suitable for children under 12 years old. 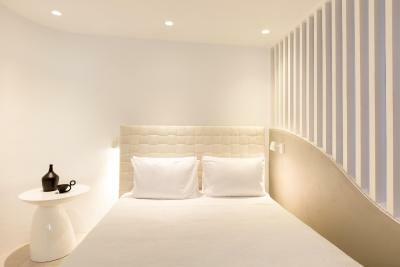 This room has a Queen-size bed and a double sleeper couch that can sleep 2 children under 12. 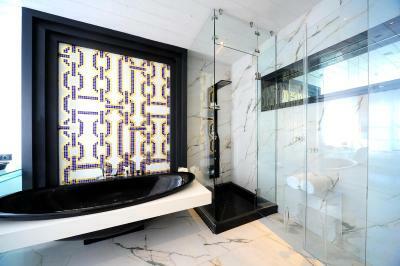 It has an private bathroom with bath and shower. 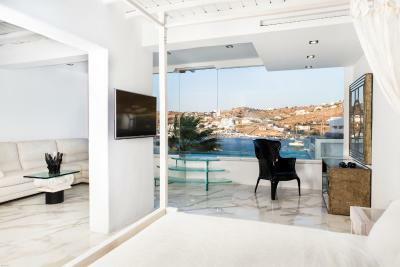 This villa features a balcony, satellite TV and mini-bar. 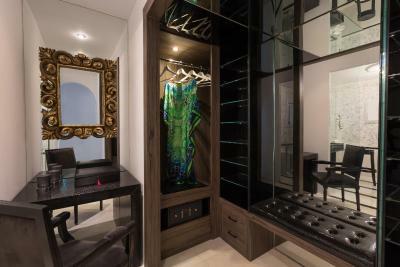 This suite features a balcony, private pool and CD player. What makes Kivotos unique is definitely its waterfront location, featuring a private beach access just a few steps down from your room. 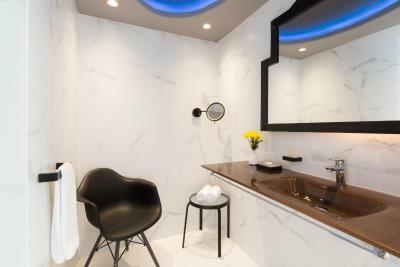 Defining the true meaning of the word "boutique hotel",one of the hotel's strongest points is also its unique architectural style and interior design as each and every part of the property have been meticulously designed by the owner himself who is a world class traveler and art aficionado. 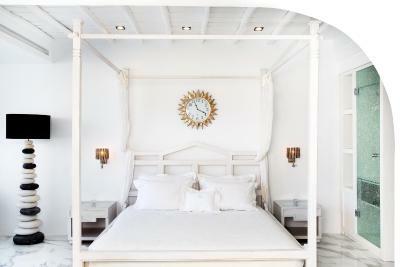 House Rules Kivotos Mykonos takes special requests – add in the next step! 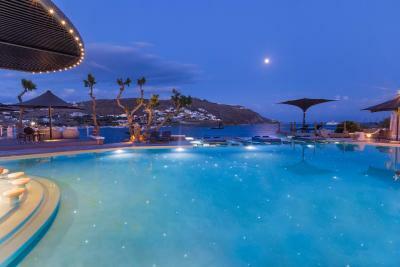 Kivotos Mykonos accepts these cards and reserves the right to temporarily hold an amount prior to arrival. We asked for a non smoking room and ended up with a smoking room (fyi, I'm pregnant). Our phone on our room was not working, made two complaints and not a single staff member got back to us. On the last evening, we found out that our phone line was actually not working and this was our third complaint. On check out we asked the receptionist why we weren't informed that they had issues with the phone line and he was unaware of our complaints, asked if we were given a mobile phone as a replacement - no one gave us a mobile phone as a replacement. Breakfast was mediocre, nothing really to brag about. Dinner - 20% of the food items on the menu were unavailable. Excellent wine list; wonderful flavors! No internet in the room!! 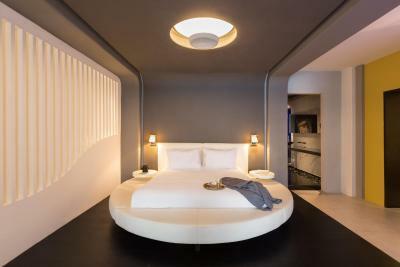 !, for 600€/night that should be a given without question. The most irritating fact was that they were trying to find excuses like they will reset the routers of the hotel, while they knew that several rooms have very weak or no signal at all. Finally on the 3rd day when we said we prefer to leave than to have no internet they Brought a wifi signal booster in the room which was not working anyway. We said we were unhappy about all this, they did not seem to care, no compensation no anything. On the contrary, their vallet scratched the door on my car, while trying to make room for other vehicles on the third morning we were there. I am sure it was a mistake but still they did not say anything even when I told the reception....and again did not offer any compensation. Terrible experience, in 2017 we had to move to common areas on a 5 star hotel to send essential emails... Old rooms no sockets for appliances even a dvd still existed there from 15 years ago. 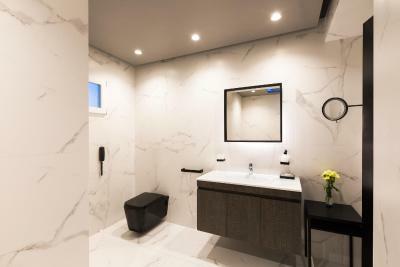 The bathroom had a Jacuzzi but no shower. It is a super hotel to not have showers on the room., If you wanted to use the shower holder then the water flew over, so the only way sitting down inside the Jacuzzi with the shower holder - I found it so ridiculous for the price of the room.